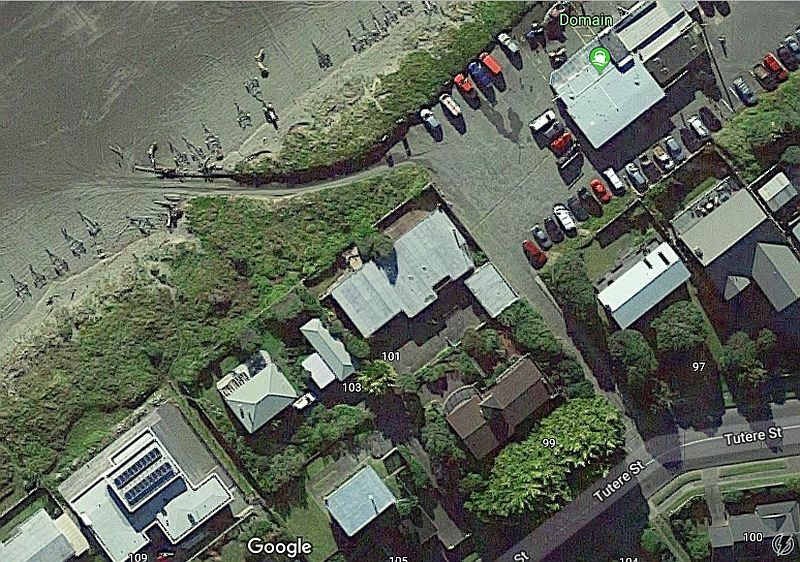 — The main access used by all drivers to get on the beach — the drive to the Waikanae Boating Club located between 97 and 99 Tutere Street to the club parking area and then the ramp from the parking area down to the sand. In this article on the Kapiti Independent News website Mayor Guru says electronic gates to control vehicle access to the beach at Kapiti Boating Club and Waikanae Boating Club could be the only way to manage illegal drivers who continue to endanger public safety and cause environmental damage. But ratepayers should not pay its full cost. Overlapping legal responsibilities between DoC, Council and the Police point to the practical solution of shared costs. This seems the likely only effective answer where emergency vehicles and Boating Club members are the only ones given cards that open a gate at the top of the ramp.